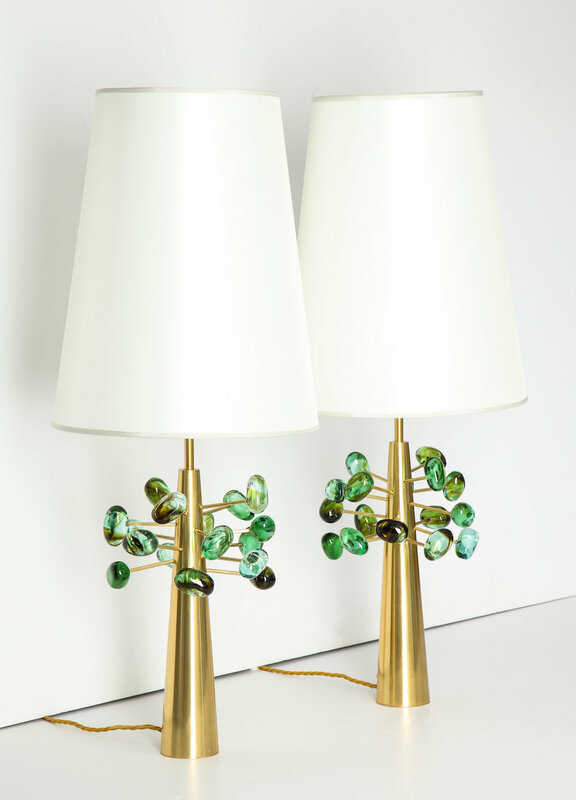 Studio-built table lamps of conical brass, with matching arms radiating horizontally. Each brass arm holds a crystal, ovoid form. Four candelabra sockets and new wiring.